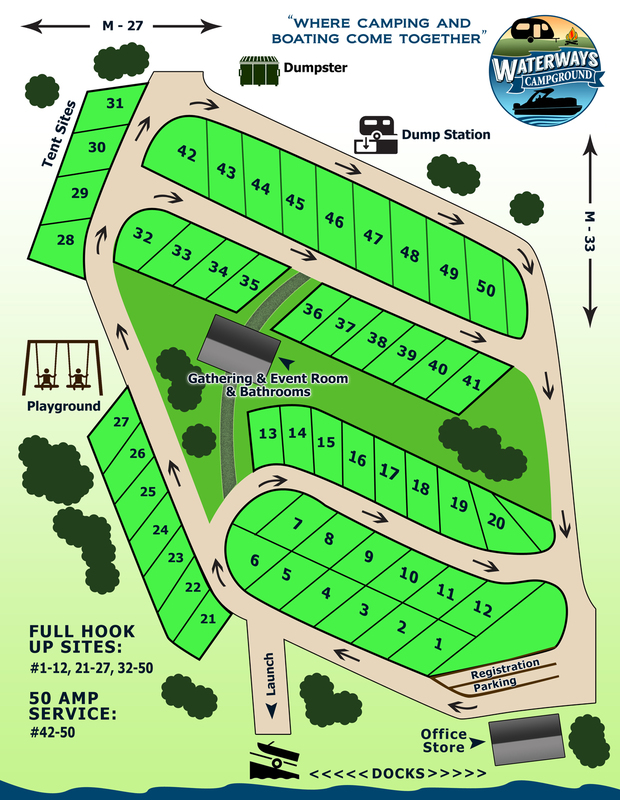 Waterways Campground "Where Camping and Boating Come Together"
"Where Camping and Boating Come Together"
Map below gives our visitors a great guide to our property. ♦ Please click here for a Printable Site Map (PDF). Copyright ©2017 - 2019 Waterways Campground. All rights reserved.